What these examples share in common is an implicit understanding that the world is apt to change in completely unexpected ways as a result of disruptive technological developments. They also share the assumption that we are very bad at predicting what the future holds and that we tend to confuse disruption with innovation. When we make these errors, we can fall into the trap of thinking that the future will be primarily or even entirely an evolution of the present. In reality, genuinely disruptive developments take us in new directions and have unpredictable consequences. Fortunately, if we understand this unpredictability and the true nature of disruption we can make ourselves ready for it. Nowhere is this understanding more important than in our working lives and the built environment. While technology can change very quickly, our skills, company cultures, and surroundings are not quite so volatile. So we must make them malleable. That has been the core challenge for workplace designers and managers for at least the past three decades, and their ability to meet it grows more important by the day. This article sets out the nature of this challenge and explores how we are meeting it. Many people like to talk about disruption, but few of them seem to know what it really means or are perhaps deliberately misusing the term. It is most often confused with innovation and improvement. Better, cheaper, smaller, faster products are not disruptive. Nor are most new ones. In his classic book The Innovator’s Dilemma (2), Clay Christensen draws a distinction between a low-end disruption, which might involve the development of a pre-existing solution, and a genuine disruption that creates a new market and so is very difficult for incumbents to serve. The title of the book derives from the dilemma this insight creates for suppliers and service providers. Incumbents typically ignore or downplay the disruption because they cannot see it for what it is, or it does not serve their commercial interests, or they cannot (or will not) follow its lead. The long-term consequences can be fatal. This combination of speciation and extinction events is the core characteristic of disruption. And it is not just suppliers and service providers who can fall into this trap of failing to distinguish between an innovation and a disruption. We are all prone to do it, especially when we come to believe that we are where we are because it is where we are meant to be. Disruption is not the warming of the water in which we sit, but the rays that evaporate it. History is littered with examples of what happens when we ignore this truth. Whole civilisations have fallen for not recognising it or responding too slowly. Firms are now particularly prone to the consequences of disruption. The disruptive force of technology is killing off older companies earlier and at a much faster rate than decades ago, squeezing employees, investors, and other stakeholders, according to a recent report from Credit Suisse. It found that the average age of a company listed on the S&P 500 has fallen from almost sixty years old in the 1950s to less than twenty years currently. It is not just the firms subject to disruption that can fall foul of its creative destruction. Pioneers can sometimes be identified by the arrows in their backs. One of the most famous examples of this danger is the story of Hungarian physician Ignaz Semmelweis. While working at a Viennese Obstetric Clinic in the mid 1840s, he noticed that mothers were far less likely to succumb to potentially fatal infections when the medical staff treating them washed their hands. He found that hand washing reduced mortality rates from around 10 percent to as little as 1 percent. Although his findings predated the germ theory of disease, which left him without a causal explanation, in 1847 he published a book in which he proposed that the link was so evident that in the future staff should always wash their hands in chlorinated lime before treating patients. In spite of the evidence, the medical profession reacted with dismay and completely rejected the idea, not least because Semmelweis couldn’t explain the link between hygiene and infection. His critics remained wedded to the idea that there were many reasons why people could become infected and that cleanliness could not be the primary or sole cause, even in those cases where staff were treating mothers immediately after performing an autopsy. Semmelweis was removed from his post and driven out from Vienna, eventually dying at the age of just 47 from septicaemia. Vindication only came years later when Louis Pasteur published his work on the germ theory of disease, which at last explained why personal hygiene was so important for medical staff. The story is now often cited as an example of what can happen when people are presented with unacceptable ideas, especially when those ideas challenge their core beliefs. Change comes in time, but sometimes at a cost for the disruptors as well as those being disrupted. a flexible, itinerant labour force. For many people, Handy suggested, careers would be replaced by ‘portfolio work’ and they would work twice as hard for half the money. If this insight seems incredibly prescient, then that’s because it was. Handy was way ahead of the curve. The consequences of clinging to the idea that we are not subject to the forces of disruption came in the central metaphor used in Handy’s book. He tells the fable of a frog placed in a saucepan of cool water that is then slowly heated. The frog sits there in blissful ignorance, quite comfortable in its surroundings and not noticing how incrementally but radically its environment is changing, until it is too late, and the frog is boiled to death. At the core of this story and Douglas Adam’s fable of the puddle is the protagonists’ assumption that they understand their environment and their place within it. Sometimes, even if we are told something directly, we may not act on it if it does not fit with one of our core beliefs. So, if we told the frog it was at risk of being boiled to death because the water in which it was sitting was on a hob , the frog might decide to stay put because water is its natural environment and it doesn’t understand what a hob is. This easy rejection of inconvenient ideas as heretical, until there is no choice but to accept them, is often described using the idea of “The Overton Window”. (5) Originally a political theory describing the range of policies that the voting public considers acceptable at any point in time, the idea is now more widely used to describe how former heresies are accommodated into mainstream thinking over a period of time and in response to changing events. We can see this process at play in the world of work right now. Although many commentators like to talk of the evolution of work and workplaces, we should know that we are in a period of discontinuous change, in Handy’s terms. Crucially, the present and the future are not merely extensions of the past. Office work has existed in some form ever since people started writing on tablets and papyrus. Depictions of clerical staff are common in the Bible and on the walls of pyramids. 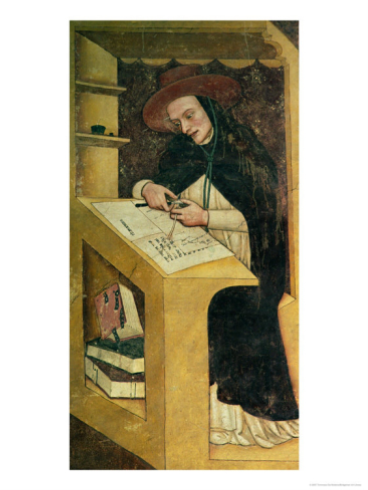 In the mid 14th Century the Church of San Nicolò commissioned the artist Tomaso da Modena to create the fresco in the chapter room of the church depicting forty monks of the order hard at it at their desks. The word ‘office’ itself derives from the famous Uffizi Gallery in Florence, created in 1560. Things picked up after the Industrial Revolution, as is evident from the work of Charles Dickens, amongst others, and it is worth noting that the first swivel chairs for clerical work were developed by the likes of Thomas Jefferson, Albert Stoll, and Peter Ten Eyck. 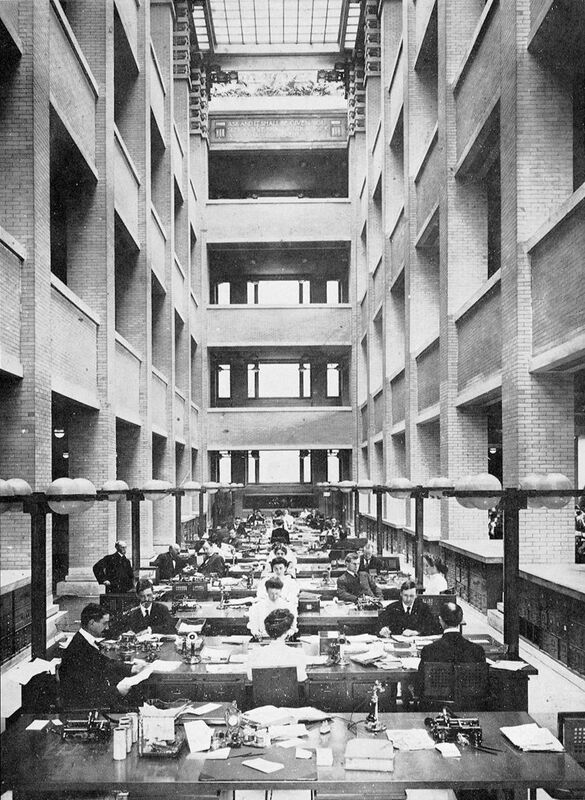 The first widely recognised example of a modern office was the 1904 Larkin Building designed by Frank Lloyd Wright (6). Shortly afterwards, Frederick Taylor introduced his theory of scientific management that applies industrial principles of the division of labour and time and motion to office activities. In its wake, the firms like Steelcase and Herman Miller were founded to create products for the new forms of workplace. In 1939 Frank Lloyd Wright completed his work on the Johnson Wax building, including The Great Workroom (7), an early form of open plan, and all the furniture within. That effort is still truly breath-taking. In the 1920s and later in Europe the development of new materials such as tubular steel, combined with the rise of the Modernist movements and its figureheads such as Mies van der Rohe, transformed the world of architecture and design. In their wake and on the other side of the Atlantic, designers like Eero Saarinen and Charles and Ray Eames designed genuinely iconic products that endure to this day. While the Eames continued to create ground-breaking designs in a range of new materials, George Nelson introduced the first L-shaped workstation in 1947. In Europe in the early 1950s a new conception of the open plan office was forming around the idea of Bürolandschaft (8). 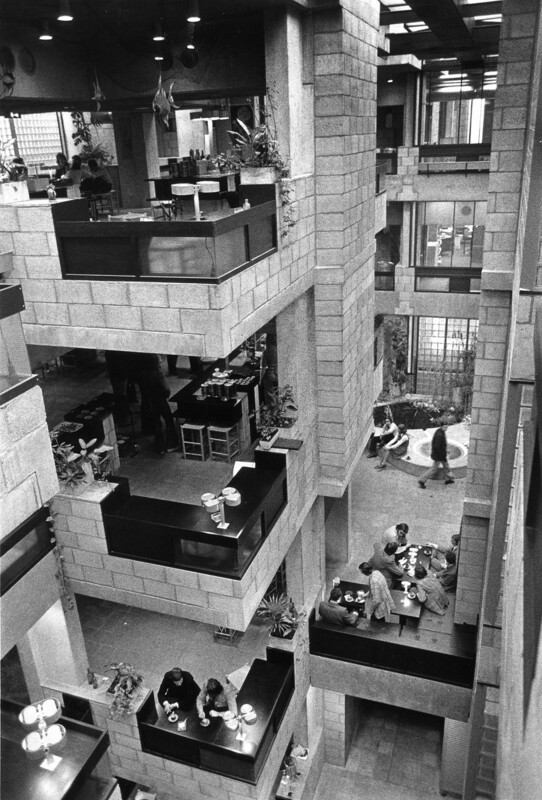 In contrast to the open plan bullpens that were now common in the United States, the brothers Wolfgang and Eberhard Schnelle developed the concept based on a rejection of scientific management and a new focus on the needs of individuals and the flow of information among them. Although still open plan, it opened up a new idiom that still distinguishes European open offices from those in the US. In parallel in Europe in the 1950s, Arne Jacobsen began to design his own generation of enduring furniture icons for Fritz Hansen. The defining furniture system of the 1960s was Action Office by Herman Miller. Originally launched in 1964, it was updated in 1968 but this time supported by a Manifesto written by its designer Robert Propst that was just as influential as the furniture itself. Many of the statements about the design of spaces for people are just as relevant fifty years on, even if the furniture now looks anachronistic. It was to form the blueprint for American panel systems for the next few years. Meanwhile in Europe, Herman Hertzberger’s designs for the Central Beheer building heralded the idea that even a fixed form such as a building can have in-built adaptability to cope with changing technology and working cultures (9). Computers with their large CPUs and CRT monitors started to appear on workstations, and in response the desks became bigger and more heavily engineered. Cable management became a major issue, and in response Douglas Ball designed the Race system for Herman Miller and Steelcase introduced their context core unit. Europe followed suit with a range of solutions including sliding tops. As much attention was paid to the structure of the desks as their surfaces. A similar revolution was also taking place with office seating as mechanisms became more complex and five-star bases were adopted as the norm in a response to the growing interest in ergonomics for computer users. The idea of the combi-office, in which people choose between an open plan workstation and an unassigned personal office, was an early progenitor of activity-based working. People began using terms like ‘hot-desking’. The miniaturisation of technology and the Internet changed everything. At this time there was a great deal of talk about new ways of working but they remained more talked-about than implemented. The use of laptops and mobile phones began to drive a reduction in the size of workstation footprints and desks. In the UK, the most talked-about building was British Airways’ new Waterside building (10) that had at its heart a ‘Street’ with cafes, shops, trees, plazas, and road signage. It was an early example of both activity-based working and the idea that workplaces can function like communities or even cities. Chiat Day’s vivid and playful New York offices from 1994, designed by Gaetano Pesce (11), became the progenitor of creative offices with quirky features. In London a firm called Michaelides and Bednash pioneered working around a single shared long table that clearly announced the arrival of the bench desk that was to become the de-facto default desk solution in the years that followed. 1994 proved to be a watershed in office furniture design with the introduction of the Aeron chair from Herman Miller (12), Vitra’s Ad Hoc designed by Antonio Citterio (13), and a product from President called Kyo that was too ahead of its time (14). All pointed to the world that was to arrive very soon after their launch. In many ways the 21st century produced a crystallisation of the ideas that had formed at the end of the 20th Century. Work had become uncoupled in both space and time and as a consequence we saw a convergence not only of the places we work and their design idioms, but an almost inability to distinguish between work time and the other facets of our lives. Perhaps unsurprisingly, wellbeing became as big a concern for firms as productivity, as did the war for talent. A greater focus on empowering people was one of the consequences. A new way of occupying property also became evident with the growth of coworking as an alternative to traditional property models. Although in essence a development of serviced offices, the coworking phenomenon tapped into a perfect storm of change in the way people worked, globalisation, excessive rents in tech hot spots, organisations still smarting from the 2008 downturn, and technological developments that facilitated new models of space. In design terms, the century started with a clear focus on bench desks in open plan offices, often supported by break-out spaces and meeting and team spaces, but that model has evolved into something more sophisticated and adaptable: activity-based working. What next for the way we work? As we have suggested, the core challenge for the people who design and manage workplaces is how to deal with a world subject to relentlessly disruptive technological and cultural forces within the context of an organisational structure and property that works on a different timescale. In the workplace this situation manifests itself in narratives that exist in a quantum superstate of both futuristic and traditional. The effectiveness and adaptability of a workplace will depend on how well it resolves the tensions that exist between the physical, digital, and cultural layers of the workplace. The principles behind this complex situation have been known to us for a long time, at least since the 1970s when Frank Duffy first introduced the world to his ideas about the physical and temporal layers of the building – in his terminology the ‘shell, services, scenery, and sets’. The balance between these layers may have shifted significantly in recent years, but the tensions among them continue to determine how well we design and manage our workplaces. Guy Kawasaki was one of the Apple employees originally responsible for marketing their original Macintosh computer in 1984 and is now a self-proclaimed tech evangelist. He has set out a manifesto for creating disruption (16). 4. Roll the DICEE: Use the DICEE acronym in decision making and service delivery. DICEE stands for: Deep Intelligent Complete Empowering Elegant. 6. Let 100 flowers blossom: Don’t assume you know all the uses your customers will find for products. They can teach you what you are producing. 8. Churn baby, churn: Ask people what they think and take it on board. If they’re just naysayers, you’ll know. 9. Niche thyself: Identify how you are unique and sell that. 10. Perfect your pitch: Honing your message will ensure you can describe what is unique about you. 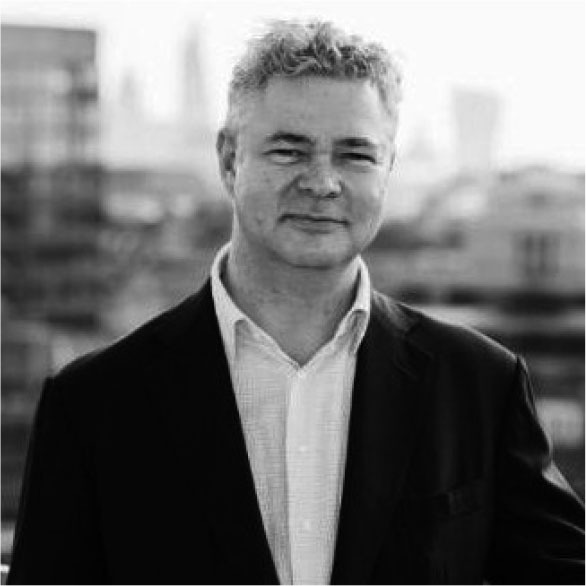 Anthony Brown is Sales and Marketing Director at BW: Workplace Experts, one of the UK’s leading and most forward thinking fit-out and refurbishment firms, based in London. See “Larkin Company Administration Building” on the Frank Lloyd Wright Trust website, at this link: https://flwright.org/researchexplore/wrightbuildings/larkincompanyadministrationbuilding (accessed 14 December 2018). See “Centraal Beheer Offices, Apeldoorn” on the AHH website (AHH is an architectural design firm based in Amsterdam and founded by Herman Hertzberger) – https://www.ahh.nl/index.php/en/projects2/12-utiliteitsbouw/85-centraal-beheer-offices-apeldoorn (accessed 14 December 2018). Ross, Phillip. “British Airways Building by Niels Torp in Heathrow, UK.” Architectural Review, 24 July, 2012 (accessed 14 December 2018, free registration required to read the article). 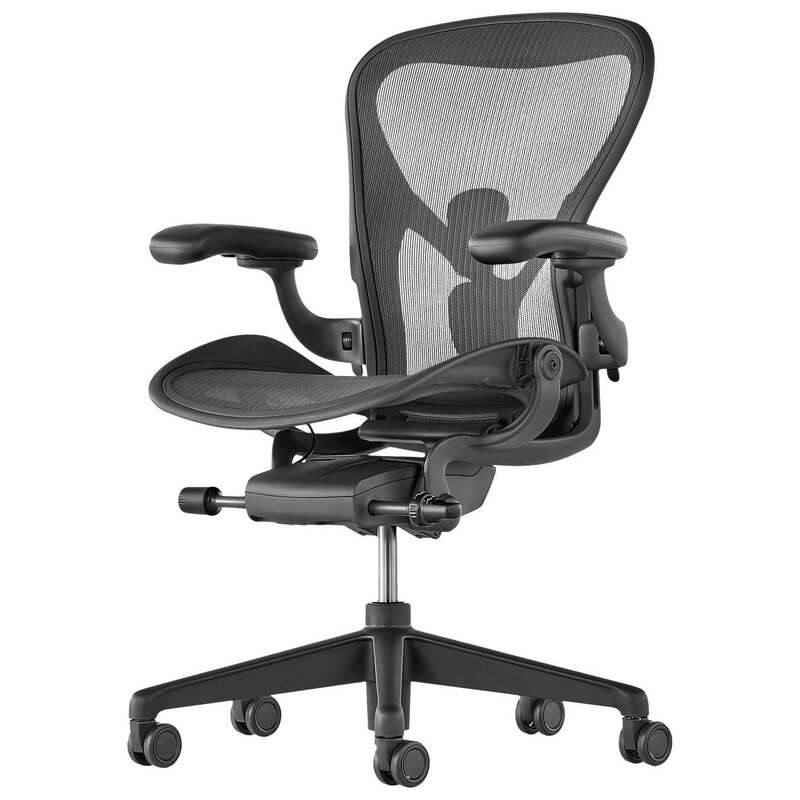 The Aeron Chair by Herman Miller. See https://www.hermanmiller.com/products/seating/office-chairs/aeron-chairs/ (accessed 14 December 2018). Ad Hoc desk by Vitra. See https://www.vitra.com/en-us/product/ad-hoc (accessed 14 December 2018).